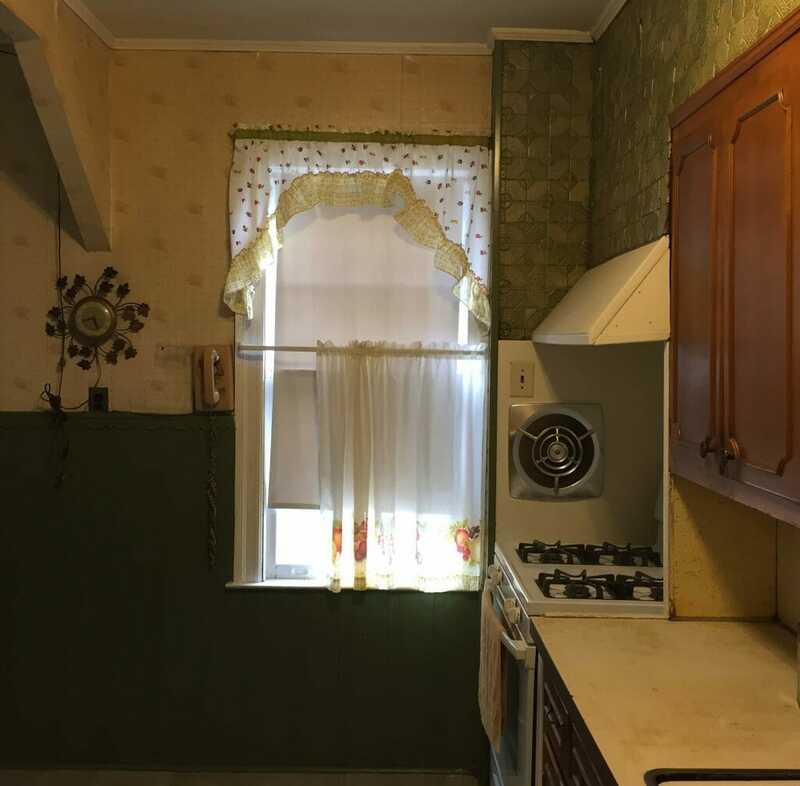 The kitchen are the heart of a home. It is the place of cooking and convening, and often is the thoroughfare of getting to other areas in the house. As a key room, it’s important to design it with functionality and comfort in mind. 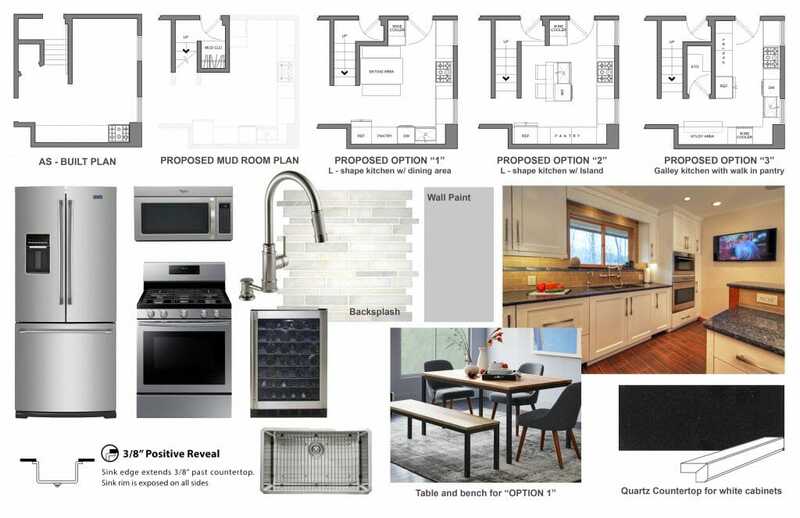 What is the best way to design a kitchen online? There are pros and cons to the various popular kitchen designs and layouts. The trick is to select the one suitable with your home and family needs. 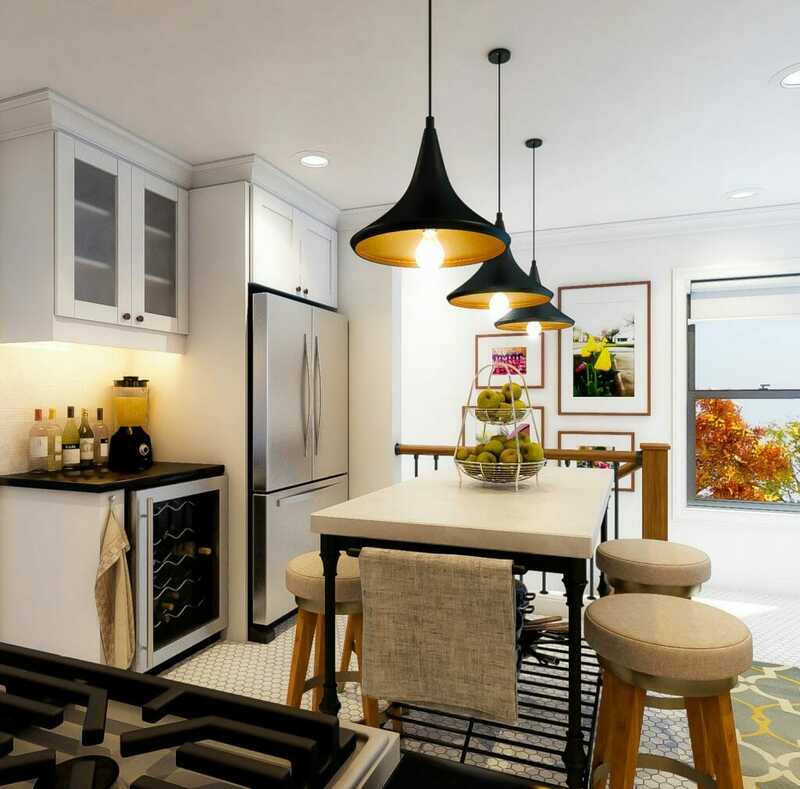 Wanting to maximize the space, a family recently reached out for help through Decorilla’s online interior design services. 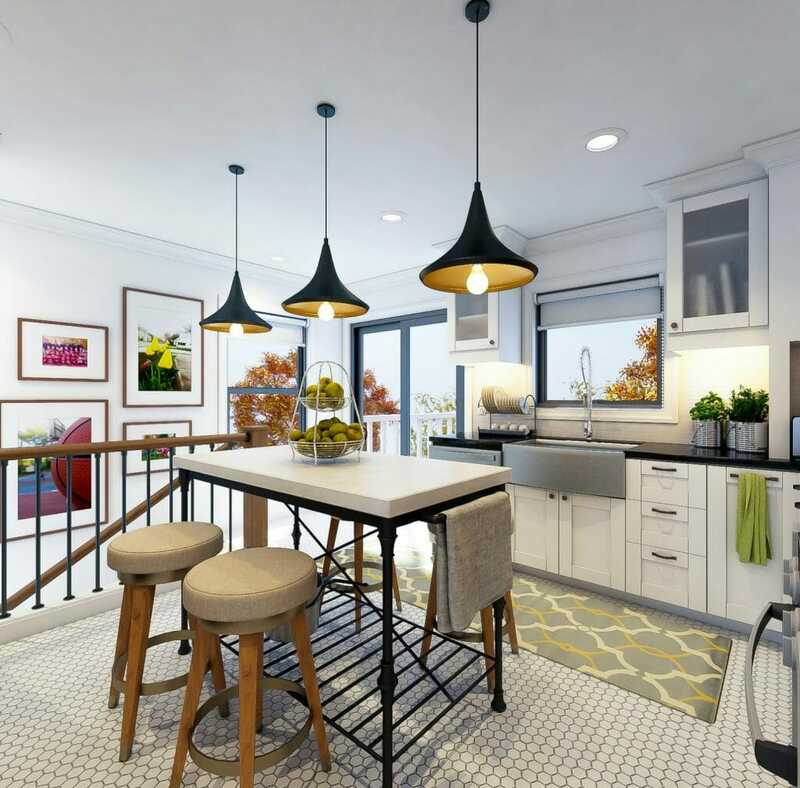 Their gut renovation allowed for designer, Aldrin C. to get spatially creative and turn the out dated space into a beautifully modern online interior designer kitchen. 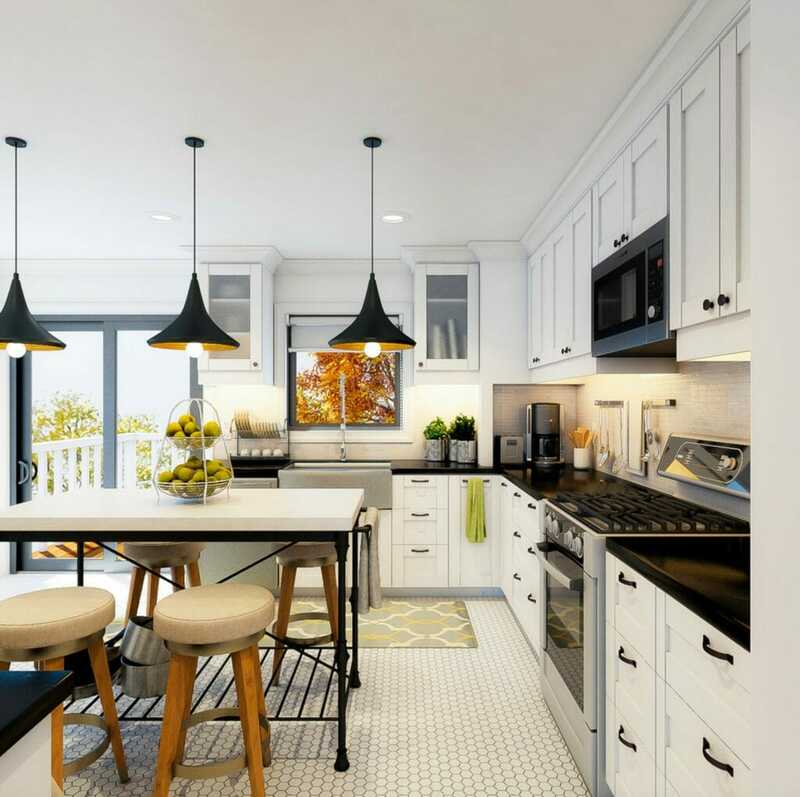 Stylistically, the clients wanted a bistro-like kitchen with black/white as the color palette and tiles that offer pattern to the space. This idea helped guide the selection of cabinets, flooring, lighting, and seating. The kitchen layout was originally a galley which had limitations in terms of traffic flow. 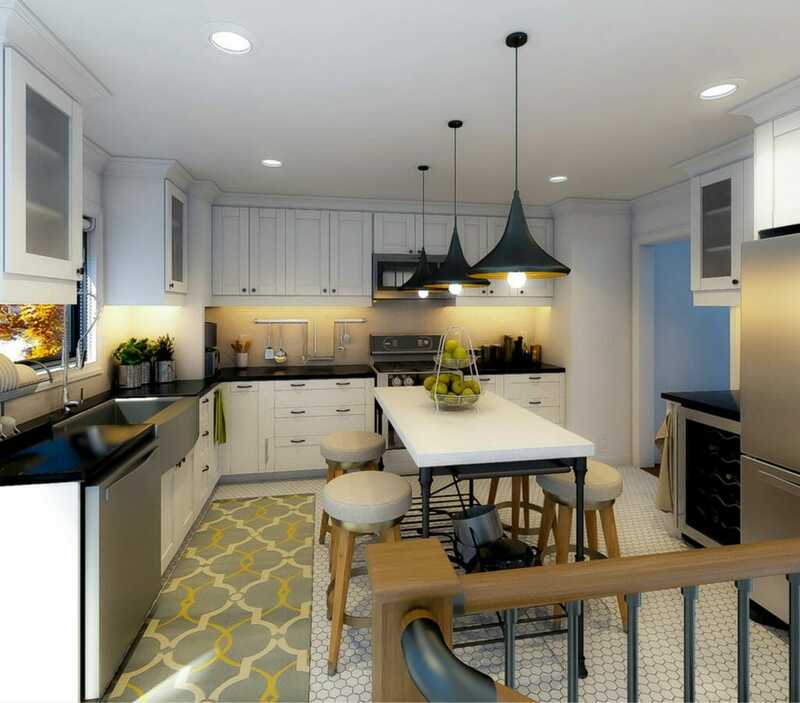 To address the need for cabinet storage, seating, and counter space, Aldrin came up with several proposed lay outs before arriving to the perfect one. 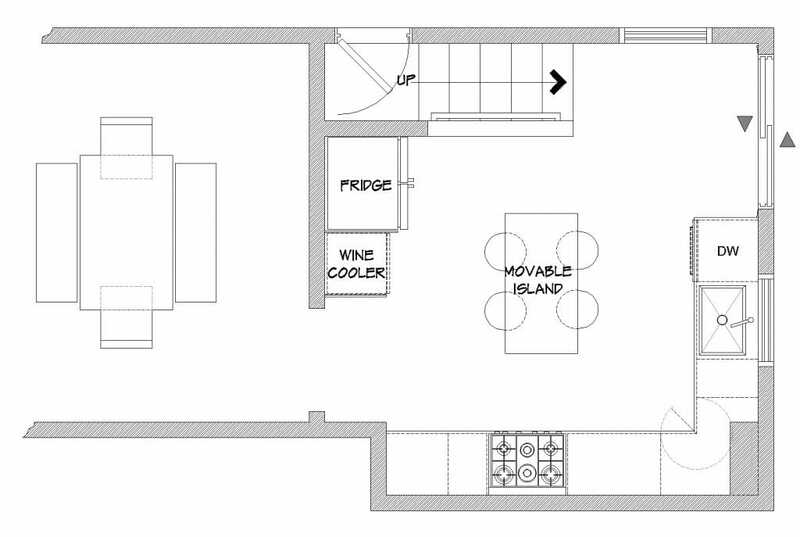 Opting for an L-shaped layout, Aldrin could easily accommodate the desired island and encourage family/guest interaction. By making it moveable, there was added versatility in placement. With white cabinet finishes and Behr’s Ultra Pure White semi gloss paint, the kitchen immediately gains in space. The brushed bronze hardware and stainless steel appliances then take the spotlight as contrasting design elements. Subway tiles, an adorned floor tile and black cafe chairs also help create the bistro look the family imagined. 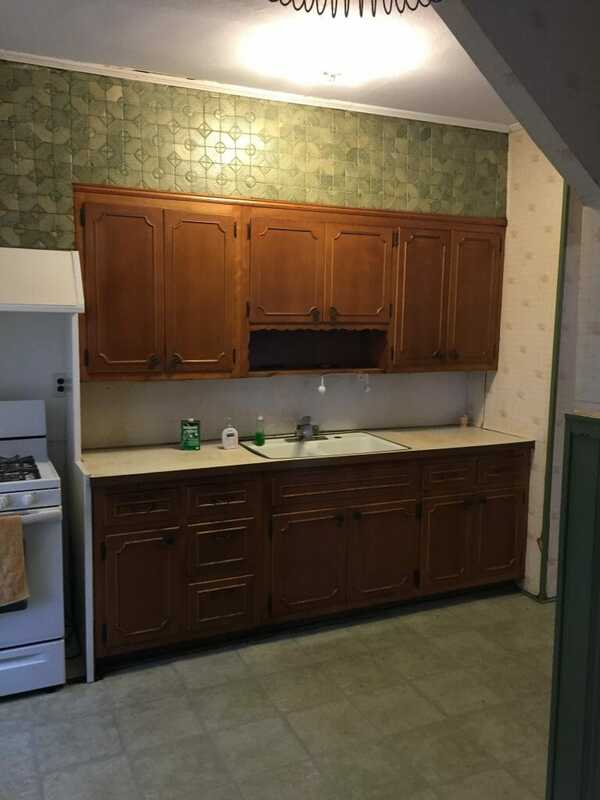 The marble top island can be moved in a couple of ways according to the use of the family. It’s barred shelving is great for storing additional pots and pans or to temporarily hold the kids’ backpacks as they sit doing homework. Space savvy design allows for a built in microwave clearing up counter space. A small flat screen TV hangs at a perfect angle on the wall for all users of the space. The layout and style are best complemented by the expansive windows that allow for plenty of natural light and an additional sense of spaciousness. Together these elements helped create the family’s dream kitchen. 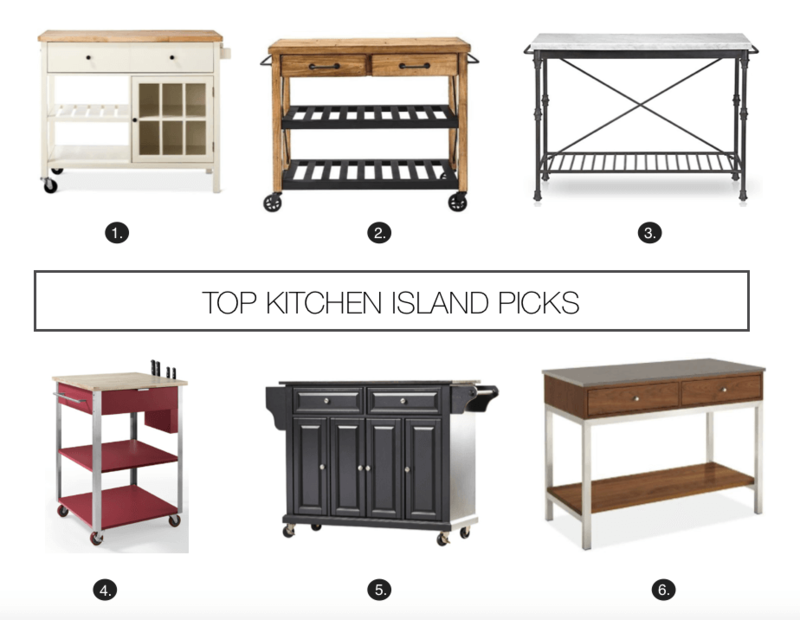 When selecting the perfect island it is good to be mindful of size, style and functionality. Here are some of our favorite designer picks. 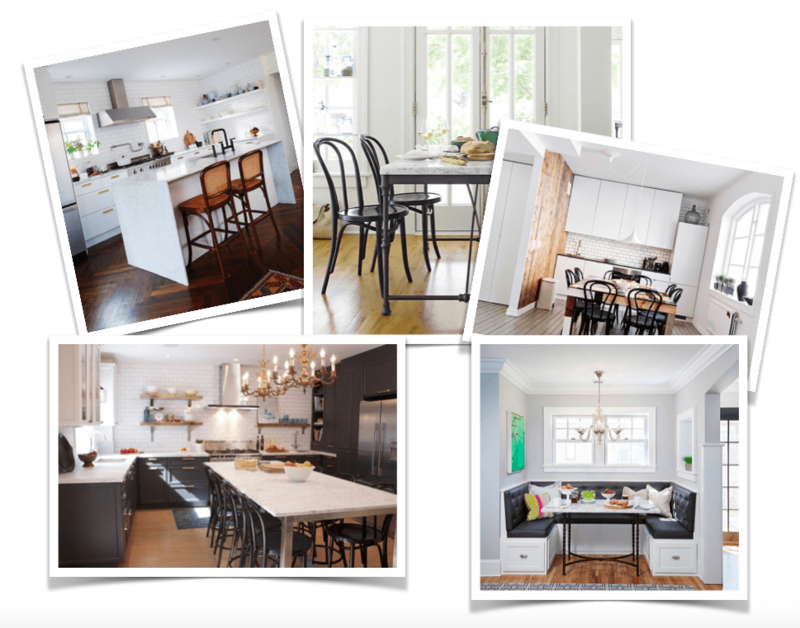 Inspired by this online interior designer kitchen transformation? Start a project now to get proposals from multiple professional designers and a beautiful, spatially functional design. Written by Decorilla designer, Christine M.